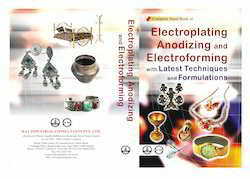 Prominent & Leading Service Provider from New Delhi, we offer electroplating anodizely and electroforming project reports, electroplating project reports and electroplating and electroforming project reports. We are an ISO 9001 : 2000 certified firm engaged in providing efficient Electroplating Anodizely And Electroforming Project Reports to the clients. Electroplating Anodizely And Electroforming Project Reports are provided by our professionals after analyzing the exact requirements of the clients. The services we offer are highly acclaimed for their effectiveness, reliability and timely execution. 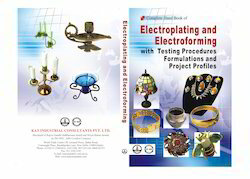 We can provide you Electroplating Project Reports on Electroplating Project Reports. Electroplating Project Reports cover all the aspects of business, from analysing the market, confirming availability of various necessities such as plant & machinery, raw materials to forecasting the financial requirements. The scope of the report includes assessing market potential, negotiating with collaborators, investment decision making, corporate diversification planning etc. in a very planned manner by formulating detailed manufacturing techniques and forecasting financial aspects by estimating the cost of raw material, formulating the cash flow statement, projecting the balance sheet etc. 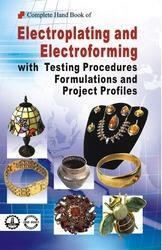 We provide a huge range for the Electroplating and Electroforming Project Reports.